Recoat is a Scottish, grass-roots arts organisation that specialises in contemporary urban art. This year marks its 10th anniversary, celebrating a decade of exhibitions, mural projects, and education programmes. As part of the anniversary celebrations Recoat has curated the exhibition, ‘This Will Ruin Everything’. The exhibition features forty Scottish and international artists and designers exhibiting a broad range of creative practices, from architecture to digital art to painting. 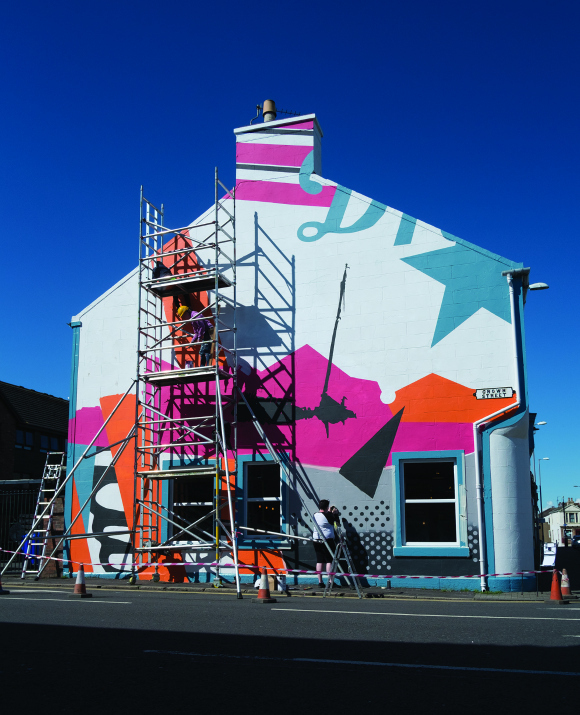 The show will also feature the Lighthouse’s first ever mural, a small Recoat Gallery retrospective installation and screenings of films about Recoat’s projects. ‘This Will Ruin Everything’ was a comment directed at Recoat during a mural project. It sums up the debate around public art, its purpose, function and value. The exhibition and programme of workshops, panel discussions and screenings aim to encourage dialogue around the distinctions between design and art in contemporary creative practice. Through discussions, screenings and workshops, Recoat aims to challenge audiences on their ideas around function, value, ownership and elitism. In the blog: the team at Recoat talk about their upcoming anniversary, including their exhibition and plans for a book. Read it now here.